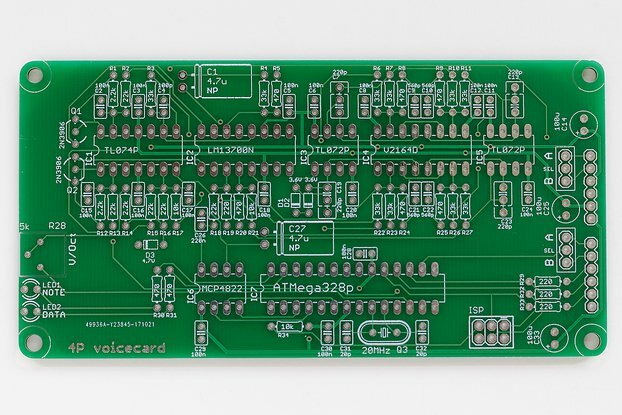 This is the Electronotes ENS-76 VCF option 1 PCB in Eurorack format. It's a standard state-variable VCF and includes CV of the frequency and resonance/Q. It has Low-pass, Band-pass and High-pass outputs. It does not self-oscillate (at least I haven't been able to get it to). Click here for schematics, BOM, and docs. If you have any questions at all please let me know.